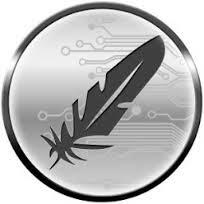 Feathercoin (FTC) is an Internet currency not controlled by any central bank or institution. Feathercoin bypasses the old banking system by using peer-to-peer technology. Payments are borderless and can be processed by anyone with affordable computer hardware using free software. This work is rewarded with new Feathercoins which are issued by the network. Payments are fast, global, and secure with near zero payment fees. Therefore merchants do not have to pass on the cost of business to you the customer, meaning you are able to enjoy spending less on the things you love.